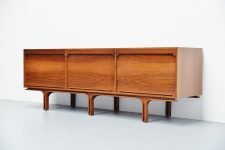 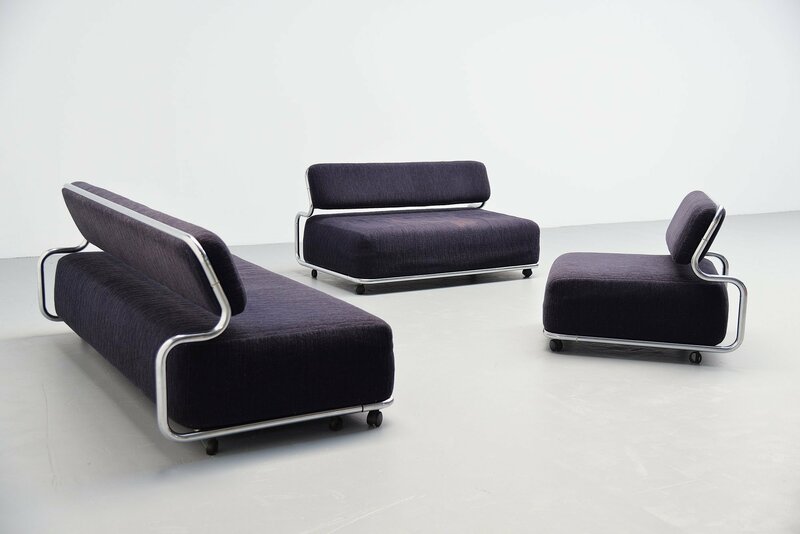 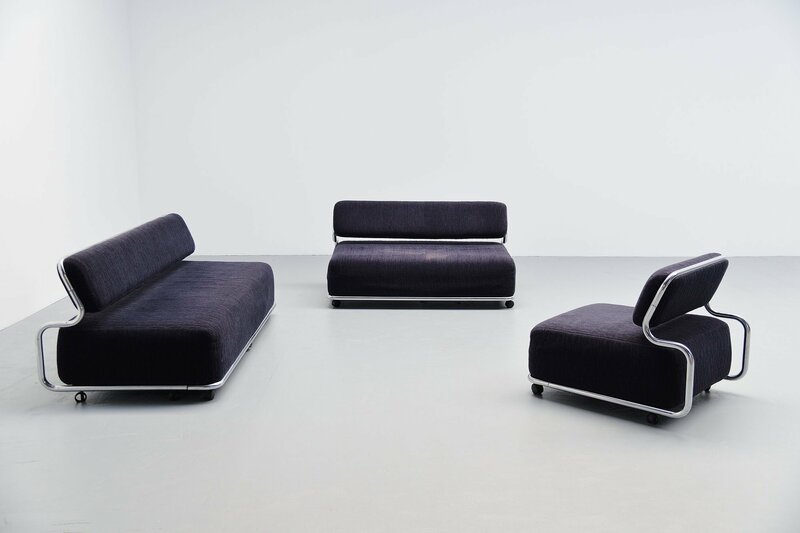 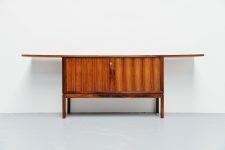 Super rare pre production sofa set designed by Kwok Hoi Chan and manufactured by ‘t Spectrum, Holland 1973. 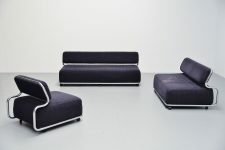 This sofa set is model BR90, BZ90 and SZ90. 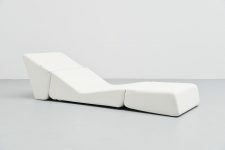 These models never went into production, besides the prototype set this is the only set that was manufactured for the Spectrum showroom. This set contains a 3 seater sleeping sofa which is extractable BR90, a 2 seater sofa BZ90 and a lounge chair SZ90. 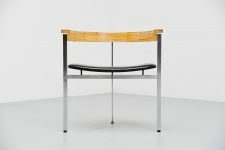 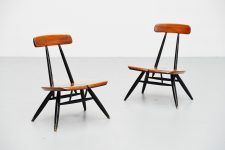 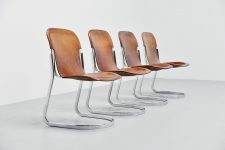 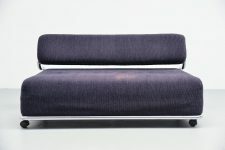 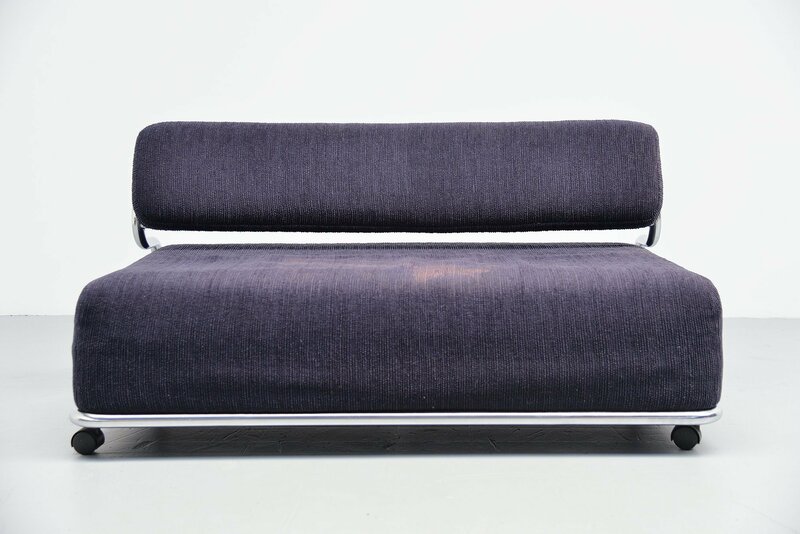 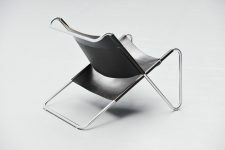 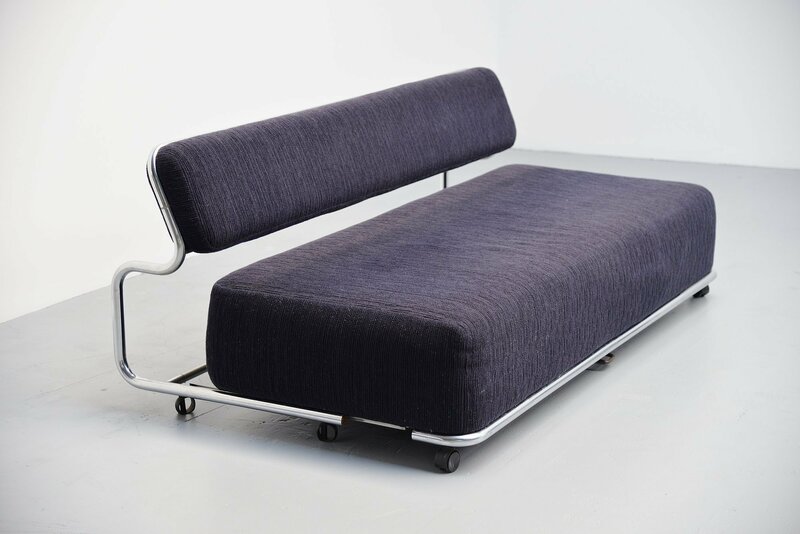 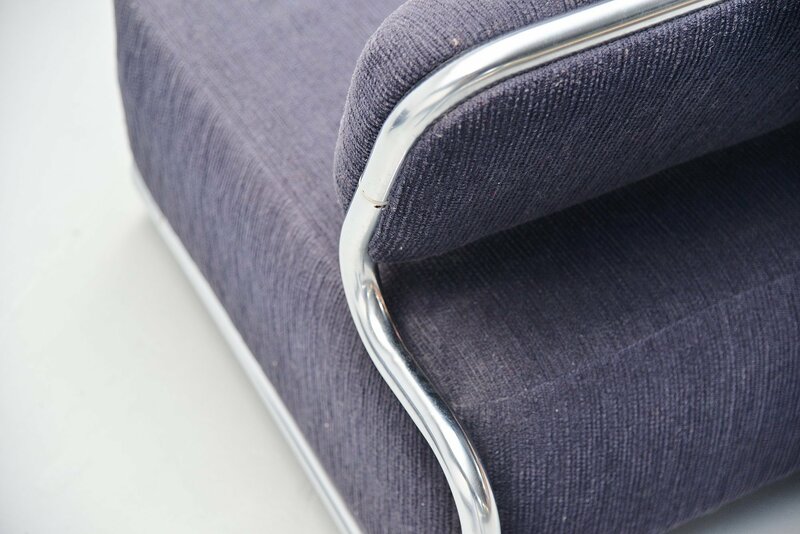 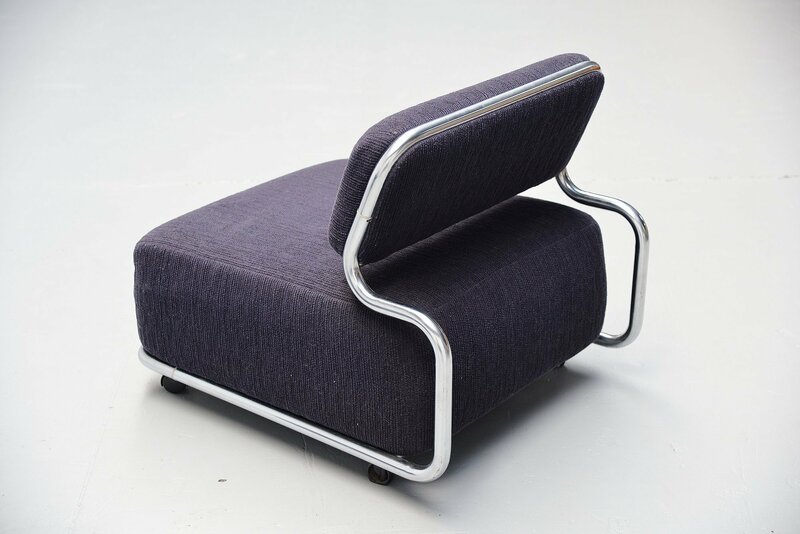 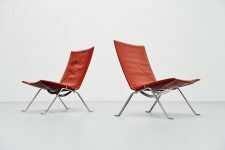 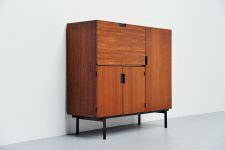 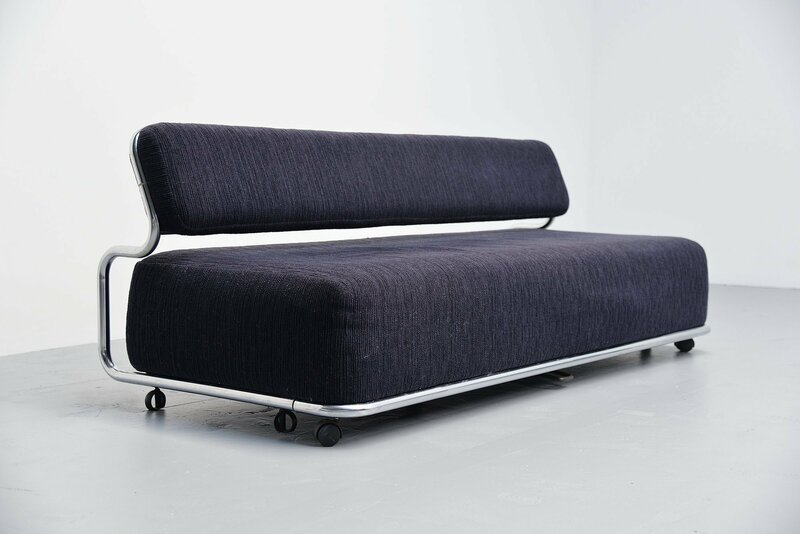 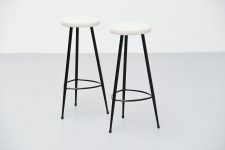 This set has a matt chrome plated tubular metal frame and original dark blue upholstery by de Ploeg. 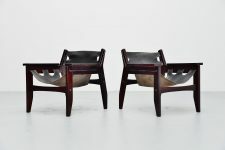 The set is in original condition and besides the 2 seater the condition is very good, the 2 seater has a stain on it unfortunately. 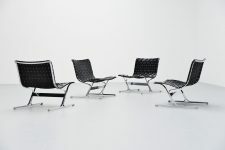 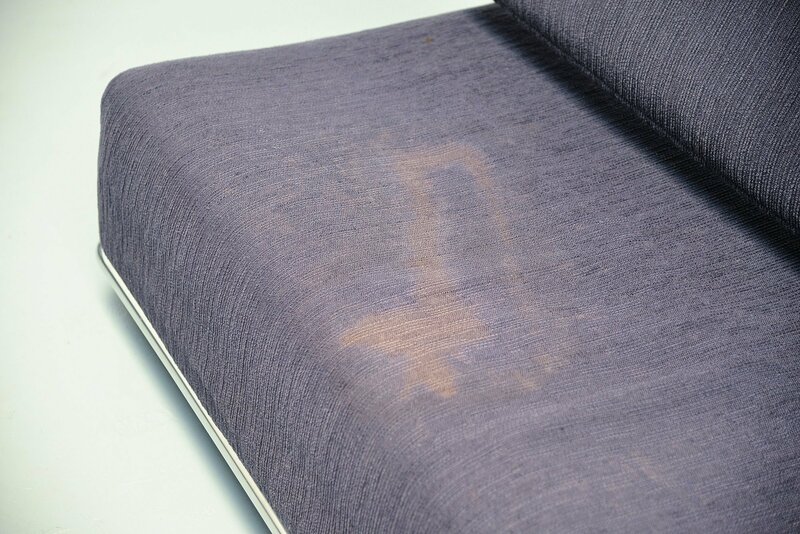 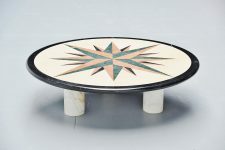 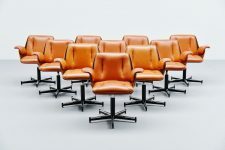 We can provide new upholstery for this set if wanted but since this is a museal set we wanted to keep it fully original. Very nice and comfortable sofa set to complete your seating area into perfection in one time. 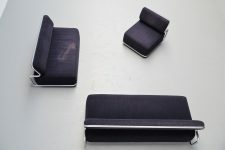 Sold as cpmplete set only.